VADA counts on the knowledge, expertise and professionalism of other organizations and businesses to assist it with many of its most important goals and functions. Below are a few of these sponsors and descriptions of the services they offer to law firms and other legal organizations. Attorneys Liability Protection Society, Inc. Accident Technology Inc. has been providing accident reconstruction assistance and expertise to the insurance and legal industry since 1984. We bring over 30 years of specialized experience and training in the multi-disciplinary field of accident reconstruction to answer your question of "How did this happen?" This expertise includes Scientific Determination of Accident Dynamics, Crash Causation and Avoidance Factors. We provide a detailed reconstruction for heavy equipment and industrial accidents. This firm remains committed to gathering comprehensive technical information to support and defend the facts in legal proceedings. Additionally, we provide educational seminars to industry professionals to assist in decision-making processes. ALPS is your Virginia State Bar's affiliated lawyers professional liability carrier as well as the affiliated carrier for more bar associations nationwide than any other insurance company. Founded in the mid-1980's, ALPS delivers services and resources that support the legal profession as a whole and works to promote the honor, dignity, and professionalism of lawyers. Beacon Forensic, P.C., is an engineering firm offering technical investigations, research and engineering analysis. We have worked on domestic and international projects for the top law firms, insurance companies and manufacturers. Our experts are professional engineers that specialize in the following technical disciplines: commercial trucking and vehicle accident reconstruction, mechanical systems failure analysis, three-dimensional data capture and modeling, industrial problem solving and intellectual property. We are experienced in various areas including transportation; construction; industrial equipment; machine guarding; heating, ventilation and air conditioning; plumbing; amusement rides; and consumer goods. Founded in 1981, Broughton Associates, Inc. specializes in the job placements of injured persons. H. Gray Broughton, supported by an experienced staff, can analyze and coordinate a case and provide an expert opinion on the person's ability to perform work using their physical limitations, education employment experience and availability of appropriate jobs in a geographical area, as well as any other factors influencing their ability to work. Gray Broughton is a Certified Case Manager with many years of experience in actually placing injured persons in jobs that are within their physical limitation. He has an extensive background in Vocational Rehabilitation and over 20 years experience. Each case is handled quickly and efficiently, every file is well documented and testimony is given when needed. He has qualified as an expert witness before many courts in Virginia, North Carolina and the District of Columbia. CED Investigative Technologies is one of the most respected names in the engineering industry. Providing investigative engineering and accident analysis for some of the top law firms, insurance companies, and manufacturers in the world, we offer expertise in various areas including consumer products, construction, marine, electrical and accident reconstruction. Founded in 1994. Detect Inc. has provided confidential investigative services for the insurance industry. Licensed in Virginia, Maryland, The District of Columbia, and North Carolina, we have conducted thousands of investigations to include: surveillance, locates, asset checks, and cyber/social media investigations. Our Cyber Research division delves into the deep web, and is headed by a former FBI Special Agent. We pride ourselves in giving every client personal attention, and conduct each investigation with the highest level of professionalism. When using Detect Inc. for your investigative services you can expect to receive a quality investigation, in a timely manner, for a fair price. DigiStream is a full-service investigative company devoted to minimizing the potential and on-going risks for our clients. Our integrated approach and proprietary techniques combine field surveillance and social media investigations to ensure the best results and highest return on your investment. DigiStream has dedicated painstaking time and resources to the perfection of the trade and has revolutionized the private investigation industry through innovative technology, company owned equipment and investigator training. Our services can assist your company in derailing fraudulent claims through properly preparing you for depositions, trials or settlement conferences. DigiStream’s results are surpassed only by our customer experience, which includes our Next Day Video™ updates. Exponent (Failure Analysis Associates) is the leading engineering and scientific consulting firm providing solutions to complex problems. We provide expert witness, demonstrative evidence and regulatory support services in the areas of products liability, personal injury, toxic tort/environmental, construction defect/construction delay, food/drug, and IP litigation. Offices in Alexandria, Washington DC and Bowie, MD. 19 offices nationwide. FORCON International is a forensic consulting organization providing comprehensive engineering, construction and other consulting and expert witness services to insurance companies, attorneys, and self-insured corporations since 1984. FORCON has the ability to effectively meet the diverse forensic consulting needs of our clients by providing them with the services of individuals who truly are "experts" in their particular field of expertise. This technical expertise is managed by seasoned professionals with strong administrative and communication skills who understand the need and concern of FORCON's clients. FORCON provides a broad range of technical expertise in a consistent, responsive, and cost effective manner. We serve clients in all fifty states, handling the full spectrum of claims including medical malpractice, auto, premises liability, product liability, railroad, aviation, admiralty, employment, workers compensation and environmental liabilities. We offer a wide range of funding vehicles from traditional fixed annuities and government bond trusts to the new equity-based products, maintaining direct relationships with all the major funding sources so that pricing is never an issue for our clients. Our longstanding relationships with trust officers, forensic economists, medical, accounting, tax and legal experts ensure smooth coordination in the establishment of these highly customized settlement solutions. Juridical Solutions PLC provides a broad array of professional, efficient, and prompt Alternate Dispute Resolution services throughout the Mid-Atlantic area. 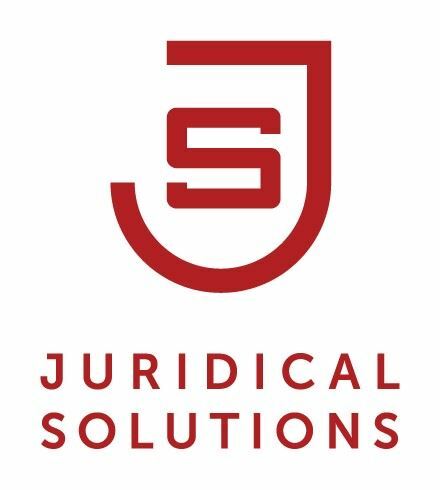 Juridicial Solutions PLC is operated and staffed by retired Circuit Court Judges throughout the state. The background and training of our panel of Neutrals puts them at the very top of the profession. Our results speak for themselves. We have successfully mediated over 90% of the case we have handled. Keiter is a professional services firm that offers a full range of accounting, tax, and financial consulting services. Established in 1978, Keiter is now the largest independent certified public accounting firm in Richmond and the 12th largest CPA firm in Virginia. Currently, we have 18 partners and over 145 professional and support staff. Keiter's Valuation and Forensic Services (VFS) Department specializes in valuation and forensic services, including financial investigations and litigation consulting and expert witness services for complex litigations. Our practice is now in its 23rd year and is one of the largest in Virginia dedicated to providing these services. Our VFS team specializes in assisting attorneys and their clients with complex disputes, including litigation consulting and expert witness services for commercial disputes and divorce, and financial advisory services for reorganization and bankruptcy. Members of our team have qualified as expert witnesses in U.S. District Court, U.S. Bankruptcy Court, and 16 circuit courts in three states, as well as before the American Arbitration Association and the National Association of Securities Dealers. We have served as U.S. District Court-appointed forensic accountants, consultants for the U.S. Office of the Federal Public Defender, and court-appointed neutral business appraisers. We have also been retained by the U.S. Department of Justice as a consultants/experts in a litigation in U.S. District Court. Liberty University School of Law provides a high quality education by integrating traditional courses of law with practical skills - all from a biblical world view. Located in Lynchburg, Va., Liberty Law's nationally recognized Lawyering Skills program is practice-oriented and provides foundational training that prepares students to become skilled and experienced lawyers. "We are committed to make a difference in the world teaching our students to fight for the oppressed, advocate for justice, and be a voice for the voiceless," Dean Keith Faulkner said in a statement. "We equip students with the values, knowledge, and skills needed to inspire their peers, innovate the profession, and impact the world from the first day of their career." The school, which opened in 2004, was ranked by preLaw magazine as a Top 25 School for practical training and a Top Law School for Trial Advocacy in 2017. Its students also graduate with one of the lowest average indebtedness, thanks to an aggressive scholarship program. In 2017, May Liberty Law graduates achieved an 88% overall passage rate in 18 jurisdictions on the July bar exam and a 100% passage rate on the bar exam in 13 states. Marshall Investigative Group is a recognized leader in fraud investigations throughout the United States, Canada and Mexico. Our customized investigative services utilize the latest technologies to provide our clients with the most comprehensive solutions in the industry. The agents at Marshall Investigative Group continue to save our clients millions every year by engaging in strong investigative techniques that determine the merit of a claim. Specializing in Insurance, Legal, Enterprise, Financial and Internet Investigations, we strive to go beyond our customers' expectations. We ensure the highest level of confidentiality and pride ourselves in having the finest talent in the industry. Headquartered in Chicago, Illinois with regional offices in North Carolina, Georgia, Colorado, Arizona, Virginia and New York, Marshall Investigative Group ensures results anytime, anywhere. With 42 offices on 4 continents, MDD is the world's premier forensic accounting firm. We regularly provide litigation services and expert witness testimony in courts, arbitrations and mediations around the world. Our expertise covers matters related to Lost Profits, Business Valuations, Shareholder Disputes, Intellectual Property, Personal Injury, Construction, Divorce and Fraud. Find out why MDD is the choice of both plaintiff and defense counsel in the United States and beyond by contacting any one of our offices or by visiting us at mdd.com. As a direct writer of professional liability insurance, Minnesota Lawyers Mutual Insurance Company, (MLM) is committed to providing stable malpractice coverage and practice management services to the Virginia legal community. MLM's Defense Program offers an enhanced lawyers' professional liability policy specially designed and rated for defense firms including preferred pricing and individual premium discounts for members of the VADA. Previously known as Ghent Computer. Working at 15 years in the making, we are proud to service business all over Hampton Roads and nearby areas, with the BEST in Managed IT and Cloud Hosting. Mode5 is Your Network Evolved. Planet Depos, LLC is a global court reporting company, providing best-in-class court reporting, videography, videoconferencing, interpretation, and trial support services throughout the United States and abroad. The Company is headquartered in Washington, DC with 60+ offices around the globe. As a forward-thinking company, we are conversant with the latest technologies and work closely with clients to implement case-winning tools, including streaming text and video, realtime to iPads, mobile videoconferencing, and digital deposition exhibits. Planet Depos has extensive experience in the management of cases of all size, including state, Federal, ITC, and multi-district litigation and is the only court reporting company that provides its services throughout the U.S. and Asia with no travel expenses. Our secure, complimentary and searchable web repository provides anytime/anywhere access to transcripts and exhibits. With 24/7/365 live customer service and technology support, a client's emergency becomes our emergency, whether it's in Washington, DC, or in any other city around the world. No matter what you need or when you need it, the team at Planet Depos Will Make It Happen for you. Pro Digital Forensic Consulting is a full-service forensic data acquisition, analysis, reporting and expert witness service for litigators & their clients, corporations & professional investigators. Pro Digital specializes in cases where evidence may be stored and recovered on computers, cell phones, tablets and stand-alone GPS units. Additionally, Pro Digital offers specialized investigative services such as cellular call detail record analysis & mapping as well as technology-facilitated and online investigations. Pro Digital brings 15 years of law enforcement experience highlighted by precedent-setting work in technology-facilitated criminal investigations in Virginia and beyond. They offer court-certified expert witness in computer/digital forensics, cell phone forensics, cellular call detail record analysis and online undercover investigation. Pro Investigative Solutions, LLC is a specialty investigative firm licensed in Virginia and West Virginia. We provide comprehensive investigative and surveillance services, bringing a unique perspective to each assignment. Our investigators are professionals who communicate with you directly from the field in order to coordinate the investigative effort. They have extensive investigative experience located throughout the service area, each with a unique understanding of the culture they serve. We employ the latest investigative techniques and strategies to deliver results for our clients. We have full access to motor vehicle records. We scour social media and utilize special proprietary databases to assist in developing a comprehensive profile for each claimant. The ProSol team expands your organization with a talented field investigation unit. Surveillance to defend workers compensation, medical malpractice or disability fraud is our specialty. However, our competencies have been attained from decades of state law enforcement investigations and decades of workers compensation, liability and disability fraud investigations. RDI (Research Data, Inc.) is a Richmond, Virginia company dedicated to serving litigators in the area of eDiscovery. Working for law firms and General Counsel offices from Virginia to Germany, from Richmond to Seoul, RDI provides an easy and inexpensive solution to the litigator's challenge working with eDiscovery. In cases both large and small, from searching through emails and conducting key custodian interviews to document review and production, RDI provides the defensibility in this challenging area so that you can focus on the law of the case and its merits. Rimkus Consulting Group is a worldwide provider of forensic engineering and consulting services with more than 50 offices across the United States, Canada, and the United Kingdom. For the past 35 years, Rimkus Consulting Group has been dedicated to the timely resolution of accidents, claims, and legal disputes. In order to meet today's complex challenges, Rimkus Consulting Group provides more than 400 professional engineers, scientists, and consulting experts who offer real-world expertise that spans across a broad spectrum of public and private environments. Recognized for our commitment to service excellence, our clients can count on us to help provide answers to complex questions. Our areas of expertise and litigation experience encompasses the evaluation of a broad range of personal injury, physical damage, and contract claims involving buildings and system failures, catastrophic events, chemical process plants, construction accidents, cranes and rigging equipment, design and engineering, electrical systems, energy, environmental pollution, fires and explosions, food safety, geotechnical hazards, green buildings, human factors and ergonomics, human health hazards, indoor air quality, industrial accidents, injury biomechanics, manufacturing, marine vessels, medical devices, oil and gas, premises liability, power plants, product and material failures, property damage, regulatory compliance, security, solar energy, standard of care, structural failures, toxic torts, trial graphics, vehicle failures, video enhancements, water intrusion, wind turbine failures, and much more. Robson, PC is a Richmond, VA forensic accounting and business valuation firm that serves clients throughout the eastern United States and beyond. Our staff of forensic accountants are all CPAs with extensive experience in evaluating and calculating lost profits damages, losses due to business interruption, wage losses, lost earnings and earning capacity, embezzlement, lost inventory, and other elements of financial damages. Our staff includes accountants who have testified on numerous occasions in federal and state courts, before the workers compensation commissions of various states and at arbitration. RTI is an established forensic engineering and scientific consultancy headquartered in the Mid-Atlantic. Long known for our ability to conduct objective investigations in high profile matters as an independent third party, RTI provides practical solutions to public and private sector clients alike. RTI's forensic engineering services respond to property, casualty, product liability, wrongful death, fire science, explosion, subrogation, patent, and intellectual property issues to name a few. In addition, RTI has a considerable background in high-risk industries such as transportation as well as gas and electric utilities. A continuation of the forensic engineering practice of FTI Consulting, Inc., RTI's origins date back to 1975. Today, RTI offers your clients access to over four hundred highly skilled experts as well as the services of our cutting-edge imaging science department to create compelling technical graphics and simulations. Our accredited testing laboratory offers materials and product testing in accordance with industry standards such as ASTM, ASME, and MIL. The result is an established accident, failure investigation and technical consultancy serving the legal and insurance markets. With RTI's experience providing technical analysis, investigating accidents and failures, and clearly explaining what happened while serving as expert witnesses, RTI is well positioned to provide assistance to you and your clients. SEA Limited is a multi-disciplined engineering and fire investigation company specializing in failure analysis. SEA also conducts environmental and industrial hygiene analysis. We offer a complete investigative service, which includes mechanical, electrical, metallurgical and civil engineering plus fire investigation, environmental and work place safety analysis, and a fully equipped chemical testing laboratory. Our full-time staffs of investigators, engineers, and chemists are licensed/registered professionals and are court-qualified experts in their respective fields. These disciplines combined with our information researcher and technical support group interact to provide a thorough and independent analysis that will support any subsequent litigation. Founded in 1998 with a single focus - to provide high quality and highly personal reprographic services to Richmond, Virginia's legal industry, Superior Document Services and SDS Discovery ("SDS") has evolved into the largest full-service eDiscovery and litigation support provider in Southeastern Virginia. Our clients include not only Fortune 500 companies, but some of the world's leading legal, accounting, and consulting firms. SDS provides electronic litigation services not only to local Virginia law firms but also provides these services to law firms across the country. By successfully combining state-of-the-art innovative technologies with a detail-oriented personal commitment Superior has sharply expanded its industry focus without losing the personal touch. Superior Document Services has been a market leader in providing electronic and digital document management solutions to our clients since 2000. SDS has invested in experienced managers, technical staff, personnel, equipment and software to provide a wide range of services and solutions to our clients. SDS continues to research and test leading edge software products to ensure we are always using the most current and effective technology tools to meet our clients' needs. The McCammon Group is committed to the proposition that ADR processes provide individuals, as well as public and private entities, with many substantial benefits including effective and prompt resolution of disputes, self-determination, cost savings, timeliness, flexibility, and confidentiality. Since 1995, our Neutrals have completed tens of thousands of cases, and developed unique processes, procedures and techniques resulting in a mediation settlement rate of approximately 85%. The McCammon Group is comprised of retired judges and prominent attorneys whose talent and experience is enhanced by our rigorous and ongoing training. Our Neutrals provide ADR services for civil disputes ranging from bodily injury to complex commercial matters and everything in between. Please contact one of our highly trained Case Managers at 888-343-0922 to initiate service. Virginia Lawyers Weekly is the commonwealth's top source of legal information for practicing attorneys, providing a traditional weekly newspaper with innovative Internet benefits, e-mail services and web-based reporting. Each week, Lawyers Weekly publishes timely digests of decisions from Virginia's state and federal courts, verdict and settlement reports and other news vital to lawyers in firms of all sizes. Virginia Lawyers Weekly also maintains its own website, www.valawyersweekly.com, containing subscriber-only benefits such as E-Mail Alerts, Judicial Profiles and a Searchable Archive, featuring all material published since 1993.